Actress and author Holly Robinson Peete (right) and daughter Ryan (left) present a $10,000 check to Special Needs Network's co-founder Areva Martin, on behalf of the Hollyrod Foundation at the 2nd Annual Pink Pump Affair, May 17, 2010 in Beverly Hills, California. Over 250 of Los Angeles’ most influential women dressed in pink pumps attended Special Needs Network Inc.’s (SNN) sold-out second annual “Pink Pump Affair,” on May 17, 2010 at the beautiful Montage Hotel in Beverly Hills. 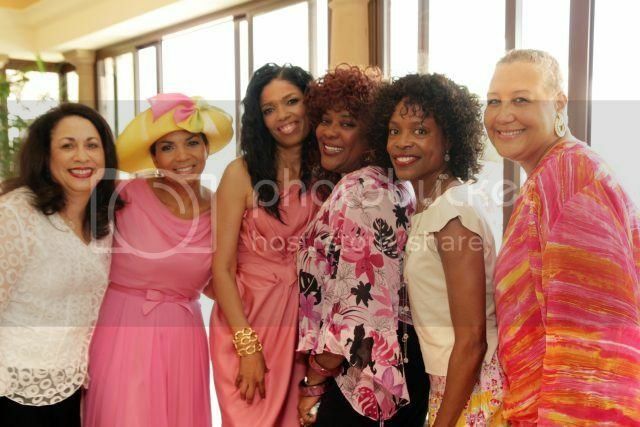 This star-studded event featured Honorary Event Chair Holly Robinson Peete, Actresses Loretta Devine and Charlayne Woodard; Talk Show host, Dr. Lisa Masterson and many more special guests walking the “pink carpet” for autism and other related disorders. 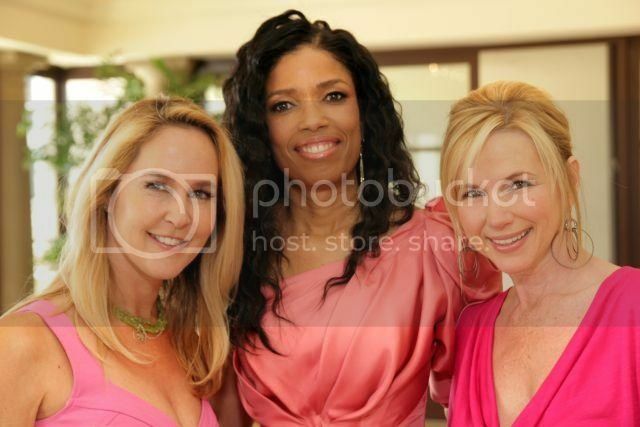 The “Pink Pump Affair,” the brainchild of Special Needs Network’s co-founder and president, Areva Martin, Esq., was designed to bring together powerful women from different backgrounds and to garner their support for more autism research and resources. 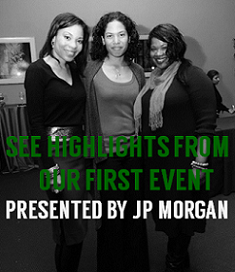 Despite difficult economic times, the event was an overwhelming success. Sponsored by Broadway Federal Bank, Time Warner Cable, Toyota, and Martin & Martin, LLP, the event provided women an opportunity for networking and bonding, while raising money to send children with special needs and their siblings to camp. The afternoon tea began with a silent auction featuring designer shoes from David’s of Beverly Hills, and as guests enjoyed high tea, they were treated to a runway fashion show featuring the 2010 spring and summer collections of Tory Burch. Walking the runway in support of children with autism were America’s Next Top Model winner and actress, Eva Marcille, Dr. Lisa Masterson of CBS’ The Doctors, America’s favorite TV Daughter, Erin Murphy from the classic hit, Bewitched, Actress Melissa Grimmond, and SNN Co-Founder and President, Areva Martin, Esq. The afternoon’s mistress of ceremonies was none other than news anchor and Emmy nominated actress, Suzanne Sena. The afternoon event raised much-needed dollars to send special needs children and their siblings to camp through a fun Live Auction and call to action hosted by Auctioneer Jim Nye. Honorary Event Chair and autism advocate, Holly Robinson Peete, who recently appeared on Celebrity Apprentice, took to the stage to present $10,000 to Special Needs Network from the Hollyrod Foundation. SNN also honored the tremendous service and accomplishments of five women including Congresswoman Diane Watson who received the Lifetime Achievement Award and gave words of wisdom to the women in the room. Women of Distinction Awards were presented to Hon. 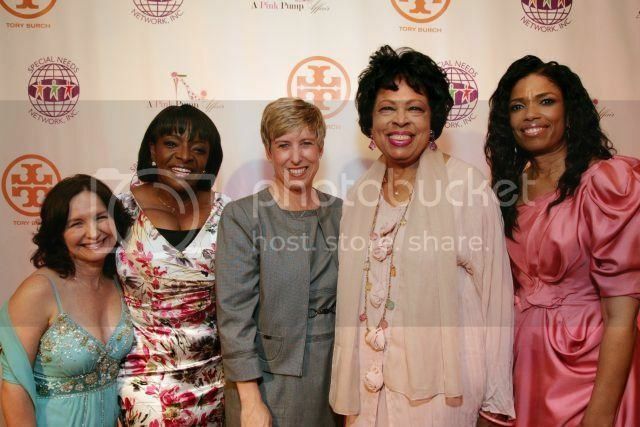 Wendy Greuel, Los Angeles City Controller; Maria Contreras-Sweet, Founder and Chairwoman of PROMERICA Bank; Elaine Hall, Founder and Creative Director of the Miracle Project; and NBC Anchorwoman and reporter Beverly White. Each honoree was presented with beautifully engraved Tiffany necklace and certificate from the United States Congress and the California State Assembly. Special Needs Network Inc. is a non-profit, community-based organization with a mission to raise public awareness of developmental disabilities, particularly as it relates to autism while providing education and resources to families, children and adults in underserved communities. Autism is the fastest growing developmental disability in the country. One in every 91 children and one in every 58 boys are impacted by this neurological condition that typically develops in children under two years old, which affects their ability to communicate, learn, and interact with others. More than 64 million people throughout the world have been identified as autistic. According to statistics, African American and Latino children are often diagnosed two to three years later than their non-minority peers, and children in low-income areas often fail to get the intervention services needed to assist in their development. Since its inception five years ago, Special Needs Network has provided educational training, resources and advocacy for more than 10,000 families in low-income and minority communities throughout the greater Los Angeles area. The organization has been praised for its innovative programs and has been identified as one of the most effective grassroots organizations working on behalf of children with autism. Special Needs Network has been featured on the front page of the Los Angeles Times, on the Dr. Phil Show and in a myriad of other national print and television media. Co-founder and President, Areva Martin, Esq., was “named by Red Book Magazine in its December 2008 edition as one of the 10 women across the nation changing the face of autism.” She was featured along with Suzanne Wright of Autism Speaks and Actress/ Singer Toni Braxton. Martin, a high-powered Los Angeles attorney, author and legal expert to the Dr. Phil Show is a tireless advocate for children and families. 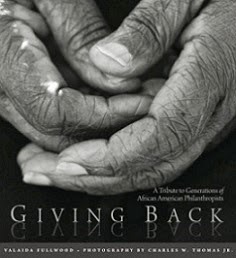 Her latest book, The Everyday Advocate, empowers and educates parents of autistic children through ‘The Seven Principles of Advocacy.’ In addition to her work with Special Needs Network, Martin has written hundreds of articles on educational rights, intervention strategies and culturally competent care for children and adults with autism and related disorders. 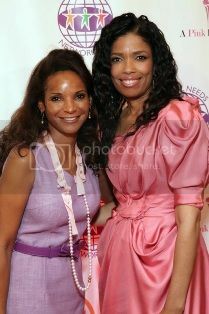 The “Pink Pump Affair” was orchestrated by noted event planner, Todd Hawkins of the Todd Group (www.thetoddgroup.net). The word is out and women are already shopping for the right pink pumps for what promises to be yet another Fabulous Pink Pump Affair in 2011. For more information, visit the Special Needs Network at www.specialneedsnetwork.org.